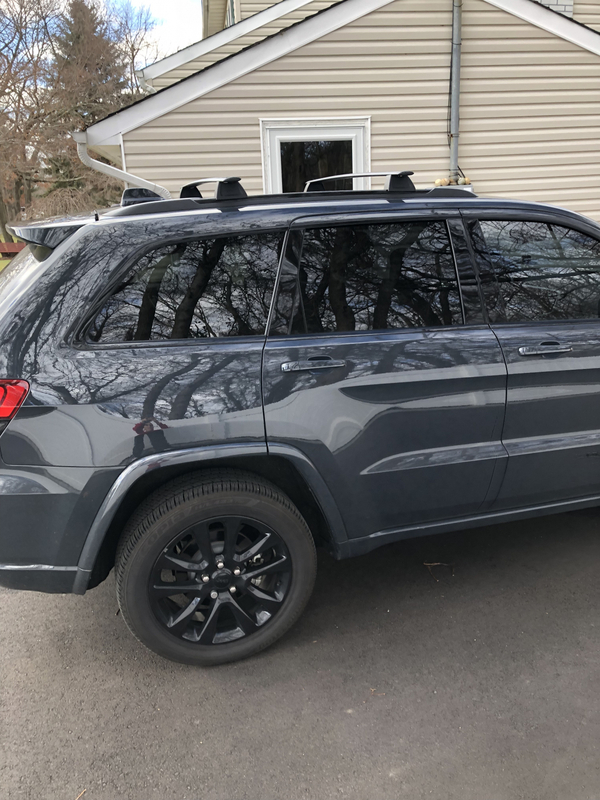 Take more gear on that next adventure with these Mopar removable roof rack cross rails from Just for Jeeps that are designed to fit your Jeep Grand Cherokee. 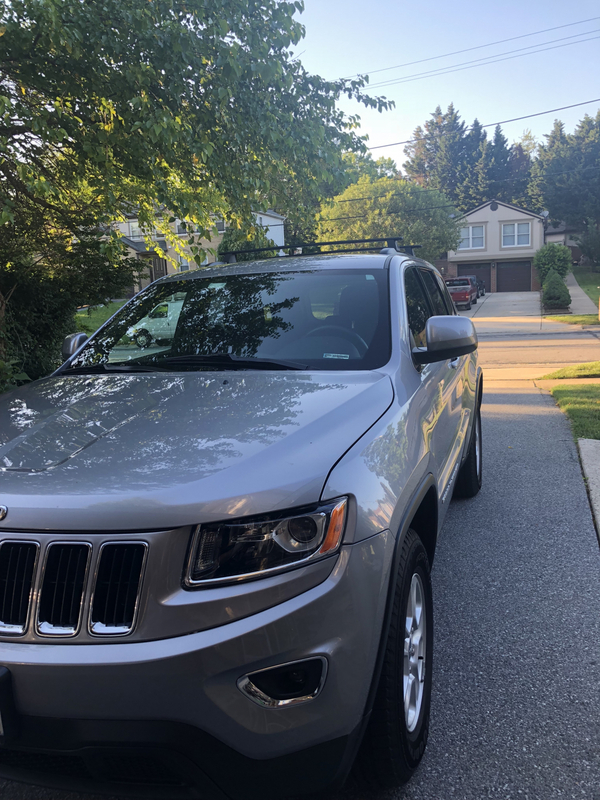 Our Mopar roof rails for Jeep Grand Cherokees come with sport utility bars with T-slots for mounting. 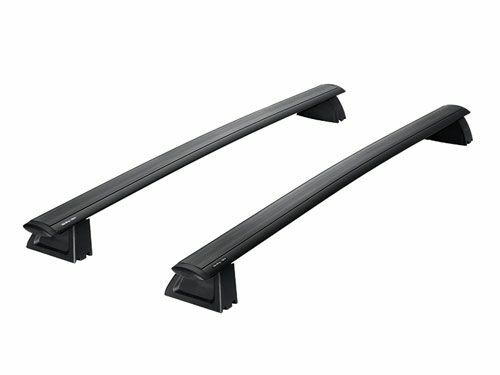 The removable roof rack cross rails are 46 inches long and 2.75 inches wide, and will hold up to 150 pounds. 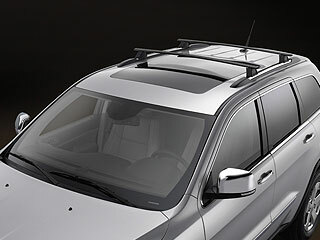 It replaces Mopar's #82212072AC roof rack. 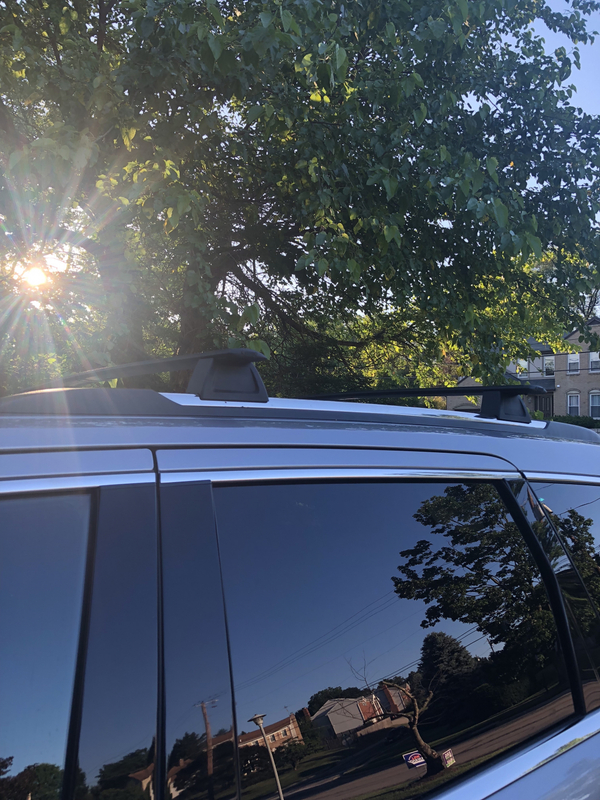 Removable roof racks are the preferred choice of owners who like having the option of a sleeker look without the racks for, say, a night on the town. But they also want the option to hit the road with everything they need for an adventure in the wild. You can trust Mopar, because these are original equipment manufactured (OEM) parts made for Chrysler Jeeps made after 1987. 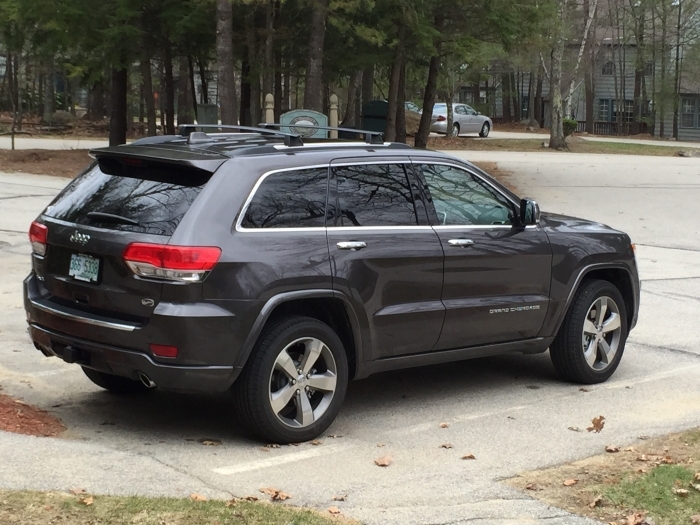 If your Grand Cherokee doesn't have side rails, we recommend purchasing the Thule Jeep-compatible removable roof rack. You'll always enjoy lower prices and fast shipping when you order from JustForJeeps.com. 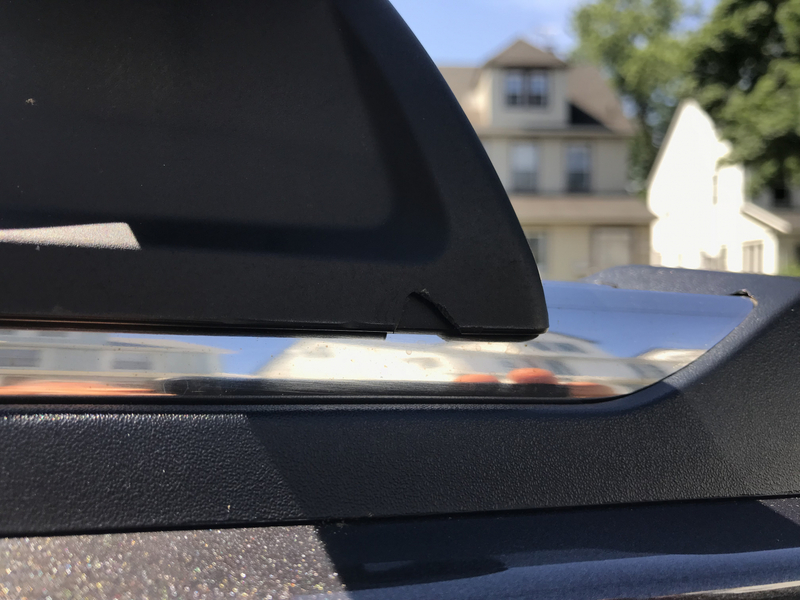 "Compared to the other options on the market, it is about half the price from what I could find," one customer told us after purchasing these removable roof rack parts. Another buyer summed it up this way: "Easy to install. Little to no wind noise. Fantastic price." 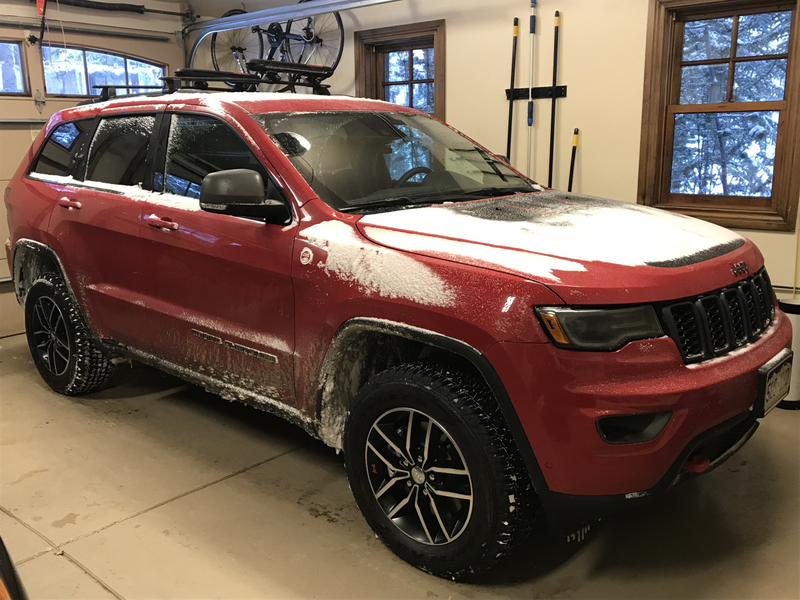 Read all our 5-Star customer reviews about this sturdy addition to our line of Jeep-compatible parts. 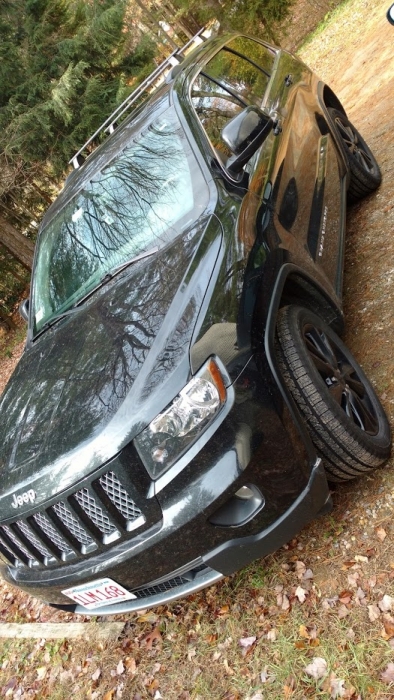 If you have questions, consult the Jeep pros at Just for Jeeps. Holds up to 150 lbs. Rack is 46" long, 2.75" wide and 3" tall. I like this product. I had to replace the fake rails on my Altitude before I could mount these, but the cross bars themselves were very easy to install. 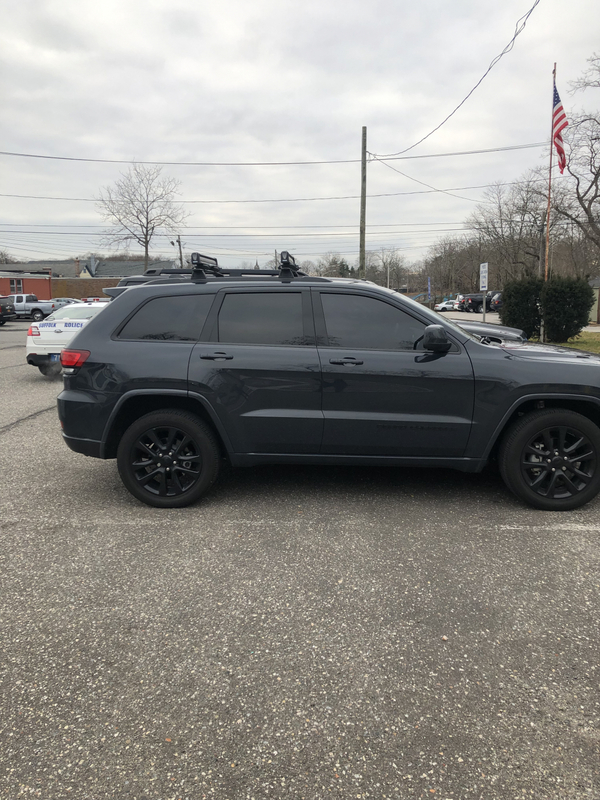 I'm glad they are black to match, its the main reason I didn't buy Thule. I'm not sure why everyone is complaining about the instructions when you don't need them anyway. Very straight forward installation, took about 15 minutes. Was able to push the rubber down without any soap or whatever. Biggest con is the wind noise. Other people said slight, but anything over 40 mph it is extremely evident with or without the sunroof open. I have the front one all the way forward I'm going to try moving it back, but we'll see. I just put on music or the radio otherwise it would annoy me. ProsSimple, quick install. Just need to make sure both sides are even. Look good. High weight rating. ConsThere is no speed at which they do not make an annoying whistling sound, but I've had that issue with a lot of brands. Product arrived as expected. Easy to install. Little to no wind noise. Fantastic price. Good quality, and look better than I thought. Hard to figure out though. I wasn't sure if I was going to like the looks of the rack on top of my '14 JGC. My original intent was to put on the rack only when needed and leave it in the garage the rest of the time. The short answer is, that's not practical. It takes quite a bit of effort to install, especially the rubber strip across the top and once that's in, you can't remove the rack without taking it back out. The best way I found to install the strip was to coat everything in soapy water and just slide the strip in from the end. That seemed easier than laying across the top of the vehicle and pushing the strip in brute-force. I was installing this in the winter, so the rubber was stiff enough that I could push it in from one side - if you were installing in a warmer climate, it may not work to push. Now that it's up there, the looks of them are starting to grow on me. I haven't actually used them yet, but they're a good, solid install that I don't anticipate any problems (other than that stupid antenna being right in the way). ConsInstructions were confusing, and the rubber strip is hard to get in correctly. Sturdy tight fit. Fairly easy for a tall person to push the rubber strip into the bar (get a ladder or similar for leverage). However, with the strips installed, a lot of whistling at 50+ mph, so I removed the strips. Now it's just a low rumble at those speeds. I may just remove them altogether when not in use. It will help with the milage, reducing drag. Got the order in record time. Great Price. No issues with the racks other than the wind noise. I read all the reviews and was a little worried about people saying they had terrible wind noise.... I have no wind noise at all, they look great, and were easy to install. 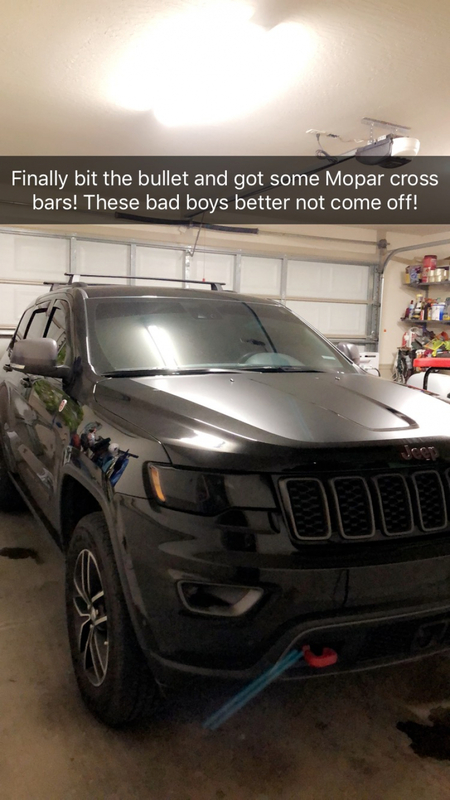 I recently had purchased two sets of crossbars off ebay that weren�€™t Mopar and cost about $50 each and they came off! These are amazing and you won�€™t go wrong! ProsSturdy and no wind noise. Took about 15 minutes. 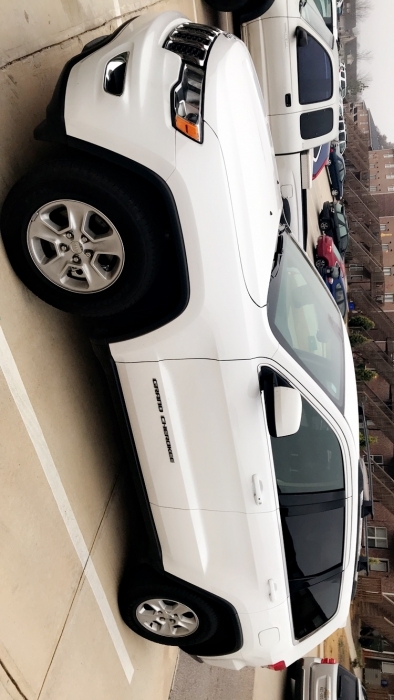 I put it on 2018 GC Altitude which does not come with factory rails so I had to purchase and install the rails that go from front to back (also purchased from here) before I installed these bars. ConsInstructions arent the best. Just watch a youtube video before or while installing. Great product. Better looking and less expensive but equally functional as other aftermarket solutions. Installation is quite simple (although the instructions are worthless). Tow notes based on other comments I've read: 1) The rubber strips are fairly easy to insert if you squeeze from the outside edges to seat the tabs in the track. You can also add a little bit (just a small amount) of dish soap or soapy water which will help lubricate the rubber but will dry once the strips are seated. 2) Some have complained about wind noise - mine are dead quiet. For whatever it's worth, there is a forward facing edge which is marked by a sticker, I would suspect that installing the bard backwards would create some noise as they appear to be shaped in a specific way. 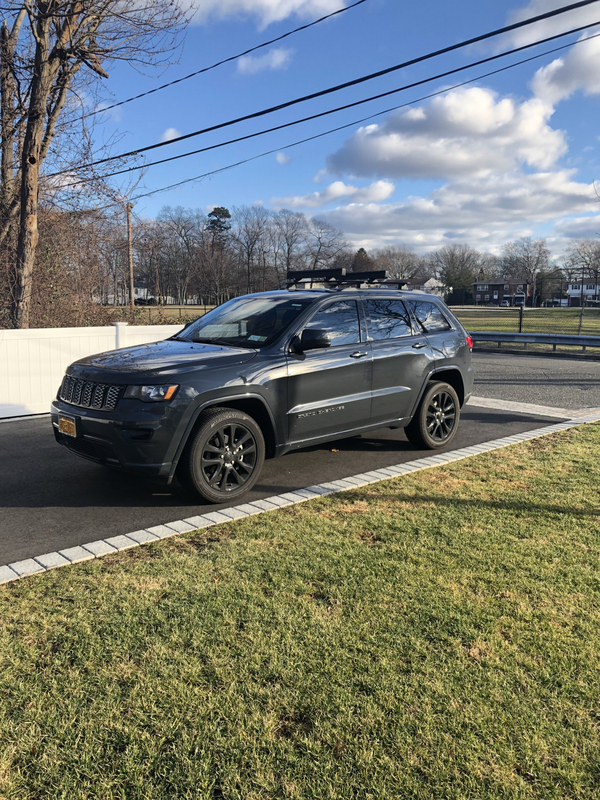 Also, I installed mine 2" back from the front stop on the rail and 3-1/2" forward of the rear stop on the rails.I'm running a Yakima Fatcat 4 ski carrier and zero noise even at highway speed. Overall I'm very happy with the functionality and relative value and would highly recommend these bars. ProsFunctional, good value, good looking, easy to install. ConsPoor quality instructions, rubber strips can be tricky to insert, but see my review above for a tip. Good product but needs better instructions for instalation. Needs four special washers not included for installation. You can reuse the original bolts. ProsYou can do installation yourself. The wind noise is unbearable. Tahoe rack makes no noise. Quick and easy install with this rack. Solid fit. Shipping was super fast. Couldn't be happier. Exactly what I was looking for. 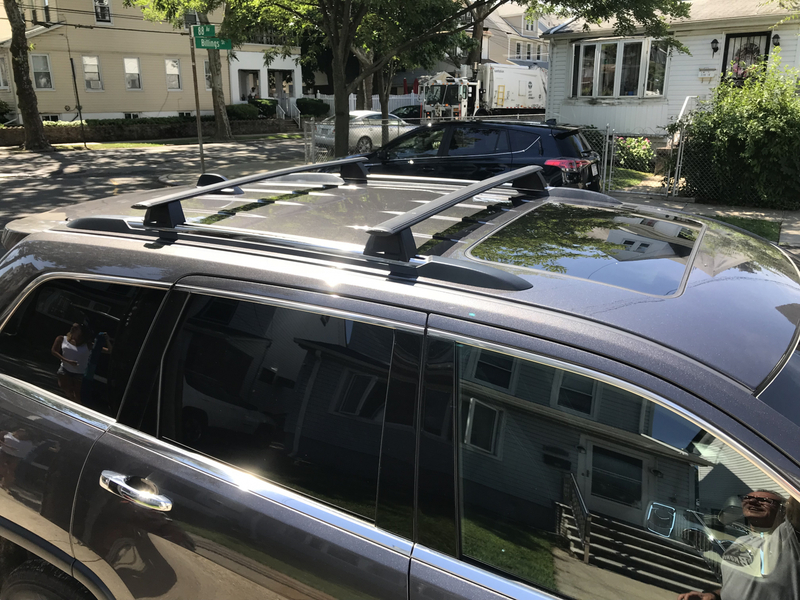 Installed easy and worked great with our Thule XL car top carrier. While these look great, one piece was chipped upon opening the box. I wasn�€™t going to try shipping it back in the original packaging so I guess I�€™ll live with it. Overall I�€™m happy with my purchase. My order arrived quickly and with all parts. The installation was very simple, and took about 30 minutes total. As with many racks there is some wind noise when traveling at higher speeds, but not so bad that having the radio on doesn��‚��"�t cancel it out. The rack carries my paddle board with no issues. What I really like is low profile look compared to some other brands. Very pleased with this product. The quality of the product is fine, but the wind noise created when driving any speed over 30MPH is just ridiculous. If you spend any normal amount of time in the car there is no way you can tolerate the noise. It is incredibly annoying. After trying every possible position for the racks it is clearly a problem with the product. I have spoken to several other jeep owners with these racks on their car and they all say same thing. It's amazing people continue to buy this product. I used them for a week and have not put them back on since. Absolute waste of money. Mopar should finally address this. ProsThey look nice. Sturdy product. ConsWind noise created by product is completely unbearable to deal with. ProsEasy to install. Lightweight but strong enough. The notice is maybe short, but if you have done it once, it is like running on a bicycle, you will not forget how to do it again. Cons1 - Sliding the plastic top is not that easy. I suggest that you do like I did, you remove the end piece, slid the plastic and reset the end piece with a short screwdriver. Or do like I intend to do, cut slots over the bolts, so the plastic stays and do not interfere. 2 - The forward sign should be on top or on the feet of course. They fit snugly and there isn't any wind noise. So, these are what you want. A little difficult to install but look nice. ConsWind noise when installed versus without cross-bars on rooftop. Wind noise is annoying and no amount of adjustment fixes it. Planning to return. I am very happy with my purchase of this item. However, I would recommend looking up instructions on YouTube since the ones it comes with don't help at all. Overall, it's exactly what I purchased and I'm happy with it so far! Quality built, easy to install, looks great. It does whistle, even going 45 mph however. Also make sure you have allen wrenchs as it does not come with them.overall, pretty satisfied with the product. Sonic shipping. Sturdy racks that are competitively priced. Easily installed. 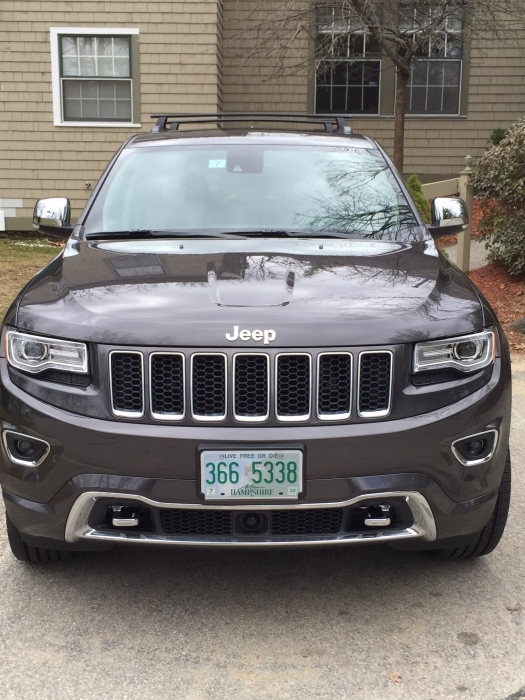 Very satisfied with this company, and this set of racks for my 2013 Jeep Grand Cherokee. ProsEasy to install, sturdy racks, reasonably priced. Easy Instalation. Good Quality. Extremely Noisy. ConsRubber was hard to attach. Too noisy.